Death and its resultant grief intrigue, terrify, preoccupy, and mesmerize human beings around the world. In Western culture, a great premium is placed on youth, happiness, and hedonism, and there exists a pervasive avoidance of aging, grief, and discomfort. Thus, suffering and mourning are treated as something to avoid altogether or from which we “move on” rather expeditiously. Using three case studies, this chapter proposes a mindfulness-based bereavement care model whose utility aids and deepens the provider-client relationship and creates a space within the dyad for exploration and eventual non-coercive healing. 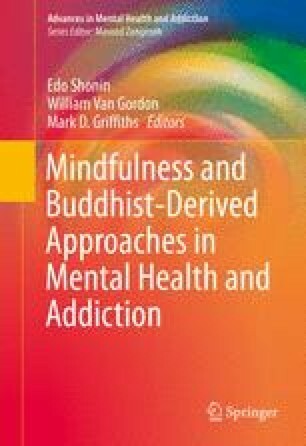 The chapter explores how mindfulness practices enhance relational authenticity, bringing us closer, even amidst tragedy, and can enhance the feeling of safety as we all seek solace for our experiences of unfathomable pain. The last of human desire: he grasps at the air.